Following the World Summit of Regions for Climate, held in Paris in October 2014, R20 signed a Memorandum of Understanding with the State of Rio de Janeiro to retrofit municipalities’ street lights to energy-saving LEDs . Today, this programme involves working with over 40 cities in Brazil and has become one of R20’s energy efficiency flagship programmes. 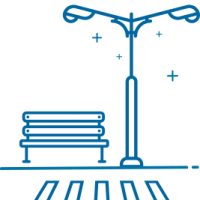 In October 2014, R20 and its technical partners started feasibility studies to retrofit streetlights to LEDs in the cities of Rio de Janeiro, Tres Rios and Nova Friburgo, where a first pilot project with an initial set of 150 LED streetlights was inaugurated two months later. The pilot project stemmed from a partnership between R20, the State Department of Environment and the city of Nova Friburgo, and was installed in Dermeval Barbosa Moreira Square (Nova Friburgo). The use of LED streetlights in this park led to a 50% energy savings and a 40% decrease in maintenance costs. Thanks to the success of the first pilot project, R20 signed an MoU with Para State to conduct a feasibility study in the city of Paragominas, where a second project, with a set of 50 LED streetlights, was installed. In 2015, with the support of Mato Grosso State, R20 Brazil signed MoUs with three consortiums of cities, representing a total of 45 cities, to perform feasibility studies. The process involved several steps: establishing the lighting inventory of the cities to assess their potential to switch to LED; identifying potential suppliers adapted to the Brazilian market and able to provide affordable technology; inviting LED manufacturers to Brazil to set up production in the country; and negotiating with the main electricity suppliers and the municipalities to test and approve new LED products. The LED street lighting programme in Brazil also received strong support from the state of Sao Paulo and concluded an agreement with the Blue Green Municipalities Program to start a feasibility study in the city of Novo Horizonte. 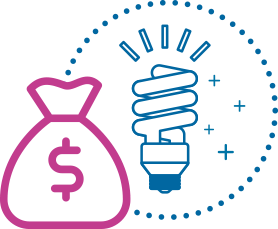 Together with the law firm Tozzini e Freire and Dr. Aragao, R20 Brazil has developed a legal structure that allows cities to finance the retrofitting of streetlights through an investment of the private sector which is repaid (ROI) by energy and maintenance savings. Recognized by the World Bank, this innovative variant of the ESCO model requires the creation of a Special Purpose Vehicle (SPV) between a private company and municipalities, and creates the conditions for Brazilian cities to shift to LED streetlights. In the summer of 2017, Eletrobras, Latin America’s biggest power utility company, was invited by R20 to take part in the SPV.